Nonprofits constantly feel the tension of serving people while simultaneously raising money to fund their work. Luckily, some simple tweaks and attention to detail can have a big effect on your nonprofit. These ideas can be implemented easily into your fundraising strategy. Set Up a Fundraising Page - Create a fundraising landing page on your site so donors and supporters can track progress. Keep content regularly updated with statistics and spotlights of people and groups who are helped by your work. Make sure to include a call to action on the page where people can quickly click to donate. Genius Tip: Add a SignUpGenius web button to your page and people can donate directly on a sign up! Be Mobile Ready - Giving isn’t just moving to the Internet — it’s moving to mobile devices. At the minimum, make sure your website homepage and your fundraising page are both optimized for mobile and able to collect donations via a mobile device. You never want to miss a donation because someone didn’t have the time to get on a desktop. Text to Give - With how much people are on their phones, consider setting up a text-to-give platform with a special number where people can text donations to your nonprofit. This makes it very simple for people to give and eliminates excuses like “I forgot my checkbook.” Consider setting up a specific campaign to raise a certain amount of money via text on a designated day. Prioritize Site Readability - Make sure your website is user friendly. Your site map should be easy to follow so people stay on your page, understand your mission and identify with the mission enough to donate. Additionally, your mission page should be clear and concise so people can quickly and easily understand the heart of your organization. Prep Social Media - Social media is a great reminder of who you are and what you do. You can give quick updates and share stories about your group’s impact. Make sure you also have a link to your fundraising page on all of your social media platforms so people can easily give to your cause. Experiment with different strategies on different platforms so you can identify your top-performing posts. Shop Online - Ask supporters to shop online using websites that will donate a portion of sales to your nonprofit, school or charity. For instance, Amazon Smile gives 0.5% of eligible purchases to the charitable organization of the shopper’s choice. There are other sites that do this as well and you can always explore new partnerships with local chains and stores. Make sure to report back so donors see the value of their purchases through these sites. Use Donate Now Buttons - Place a visible “donate now” web button on your site and in email updates so donors and supporters clearly see it. Visual reminders trigger people to give. Once they click on the button, it needs to be very simple to give money. The fewer steps the better! Promote Recurring Giving - One-time donations are awesome, but recurring donations are even better — especially since they help you budget more effectively throughout the year. Make sure your donation systems are set up so it’s simple for people to give throughout the year with automatic drafts from their bank accounts. Sign Off - Your email signature might not be something you think about often, but it’s a valuable place to put a donation link for your nonprofit. Every little bit helps. Tell Your Story - Your organization’s uplifting stories are one of your best fundraising tools, and your nonprofit’s ability to communicate its story concisely and powerfully will boost your fundraising. Communicate not just what you do but how you impact people. Highlight Impact - Send a short monthly or bi-monthly email newsletter to your supporters sharing a story of how their donations are helping someone. Use images if possible — a picture is worth a thousand words. While statistics are also important, stories are ultimately more motivating. Place a donate button at the end of your emails. Cultivate Donors - Develop strong relationships with your donors, and make sure your donors know they are not only appreciated for their giving but also educated on what they are funding. The more they feel personal ownership, the more invested they will be — whether that is time or money. Offer Volunteer Opportunities - Volunteers are shown to donate more because they feel connected to your nonprofit’s mission. Make sure to offer plenty of opportunities for prospective volunteers and current donors to give back through service. 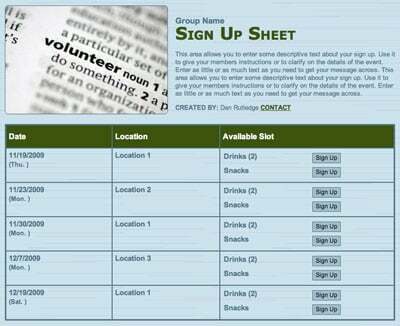 Genius Tip: Use online sign ups to schedule volunteer shifts and easily publicize needs. Say Thank You! - It is always important to thank donors no matter the size of the gift or how many times they have given. It is much easier to retain current donors than to find new ones. Cultivate your donors and educate them on the what — the nonprofit’s mission and vision — and the how — the impact they are making. It is always best to hand write thank you notes, but a personal email is better than nothing if you have limited time. Use Your Board - To what degree board members participate in fundraising differs among nonprofits, but most board members are serving because they believe in your mission and vision and want to help. Equip them with the tools, documents and/or elevator speech needed to share your mission and needs with people as opportunities arise. Create Corporate Partnerships - Approach and cultivate corporate partners in your city who are community minded. Keep them involved in your story and mission, and provide them with easy tools and stories that they can use to share their partnership with you so their customers are aware. It makes them look good, and it helps further your cause. Get Event Sponsors - Events are most profitable when you have sponsorships underwriting the majority of the event and utilizing ticket sales to fill in the gaps. For your next event, focus on asking existing sponsors to consider upgrading their sponsorship and simultaneously see if you can find new sponsors. Make sure to recognize each sponsor appropriately. Promote Matching Gifts - People are often compelled to give when they know their gift is being matched dollar for dollar, and many large donors are excited to give when they know their gift is being matched. For your next fundraiser, ask one of your trusted, larger donors to consider giving a matching gift, and then in your fundraising correspondence, let donors and potential donors know that each gift given within the designated timeframe will be matched. Sell Swag - Whether it’s a T-shirt for an upcoming fundraiser or hats that can be purchased at a company online store, earn a little extra money — without a whole lot of extra work — by creating merchandise for your nonprofit that benefits your cause and decks your donors out in some cool gear! Hold a Restaurant Night - Many local restaurants, as well as national chains, are happy to work with nonprofits to donate a portion of proceeds to a good cause. Start with your donors to see if any have connections to a popular local restaurant. Report Results - Follow up with donors to let them know how their gift specifically helped your cause. For large donors, make sure the reports are personalized and hand delivered if possible. For smaller donors, make sure they receive a concise, easy-to-read report showing the impact of their gifts. Include a personalized cover letter or short note at the front of an email for an added touch. People will notice. Evaluate Strategy - It is easy to get so caught up in the bustle of work, life and the demands of your nonprofit that you don’t take time to pause and evaluate what is working and what is not. Schedule time every month or so to analyze what activities are productive and profitable versus the activities that waste your time. Then adjust your strategy as needed. There is always room for improvement. Research Competitors - Carve out time to think about the big picture of your nonprofit, the needs it is meeting and the impact it is having. Then use this information — and hopefully inspiration — to reset goals and do some quick research to see what other similar nonprofits are doing. Look at your metrics and see what activities are yielding the most results. Create Repeatable and Scalable Fundraisers - Make sure that all of the fundraising ideas above and any others you implement are easily repeatable and scalable if you want to grow initiatives. 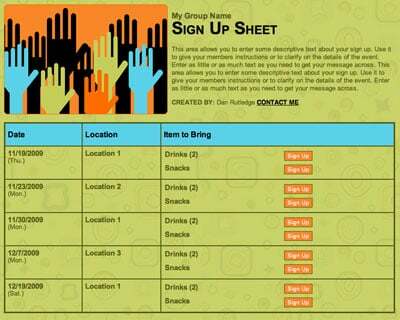 Document processes and create a workable system so the fundraiser is easy to repeat and tweak and so you can utilize volunteers. Track Financial Results - Make sure you track your results on a monthly or quarterly basis so you know how much was spent, how many people volunteered/worked and what you earned for your nonprofit. This way you know if it is worth repeating the fundraiser and what you can do to make it better. Genius Tip: Track volunteer hours and donations with simple SignUpGenius reports. Get creative with your fundraising, and you’ll be inspired to see how people joyfully join in giving to your causes. And always remember to say thank you. It can’t be emphasized enough how far a thank you will go.